Martyn Stewart had no intention of adopting a dog that day. 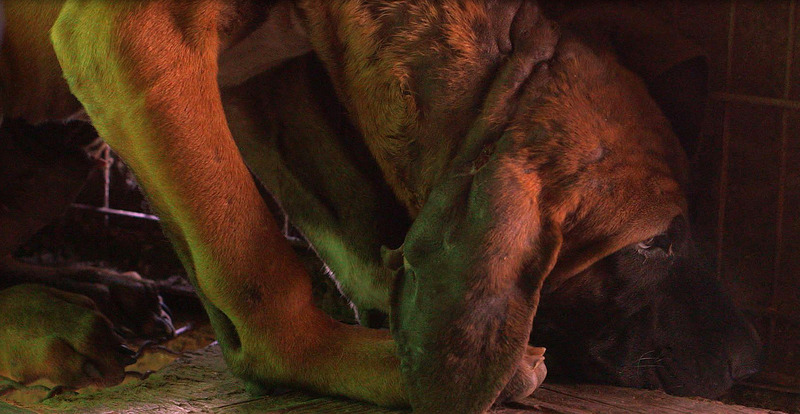 Tasked with filming the horrific conditions at a South Korean dog farm alongside Humane Society International and Change for Animals Foundation, his mind was simply focused on the difficult assignment at hand. 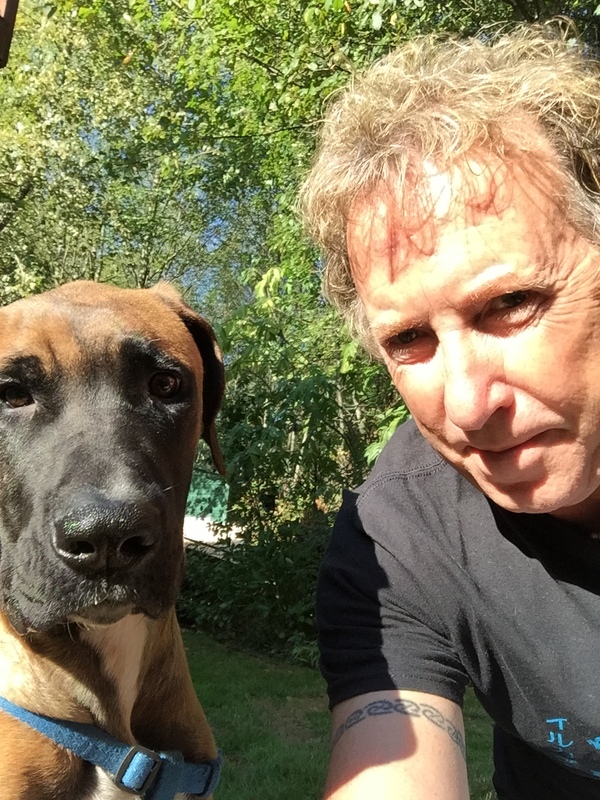 As a sound recordist who has worked in the TV and film industry for many years and documented myriad examples of animal cruelty throughout the globe, Martyn has experienced his fair share of upsetting sights and sounds. 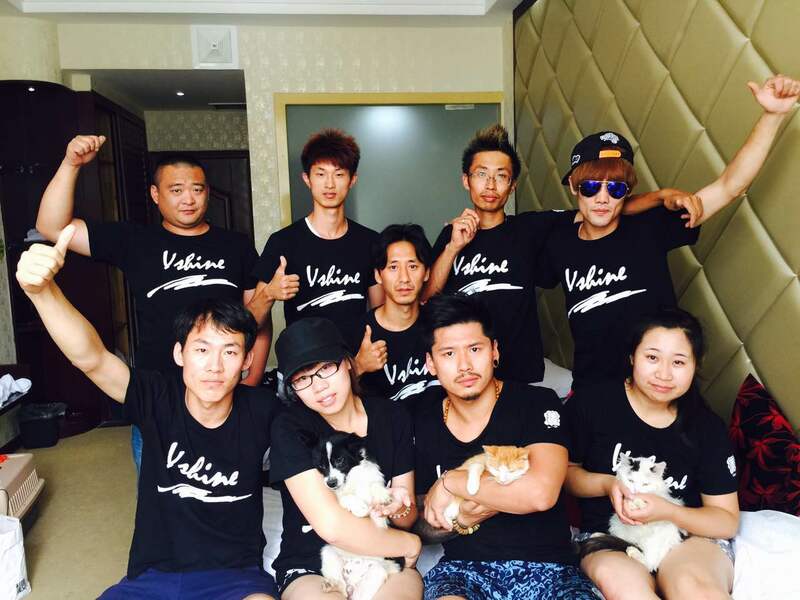 But this was his first trip to a dog farm, where dogs were raised for the dog meat trade. Although he knew he would try to do as he’s always done on these assignments – harden his heart, do the job and deal with his emotions later – he still wasn’t sure he was prepared for what he was about to witness. As the third and largest dog farm HSI was closing down as part of its strong campaign to help Korean dog farmers exit the trade and transition to more humane forms of farming, this particular operation was home to 103 canines. 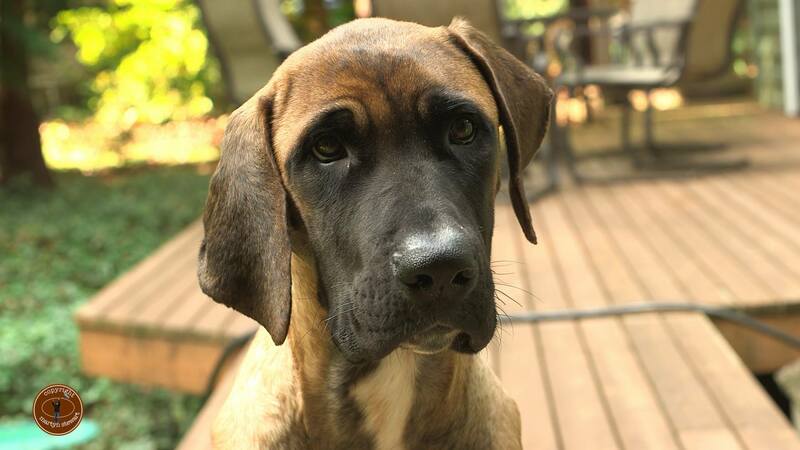 Most of the dogs were Tosas, a Japanese mastiff breed favored by the South Korean meat trade due to the animal’s large, muscular build. 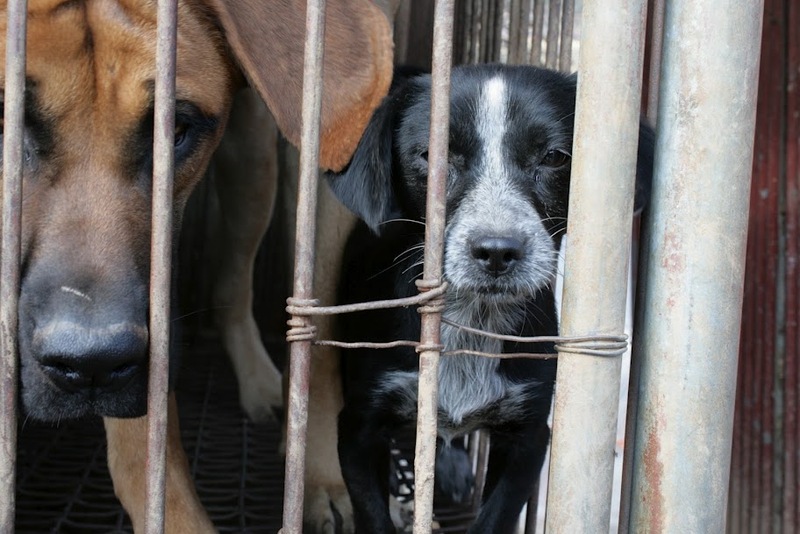 It is estimated that more than 2 million dogs are consumed in South Korea each year, supplied by hundreds, even thousands of farms (an official census of how many actually operate in the country has never been performed). 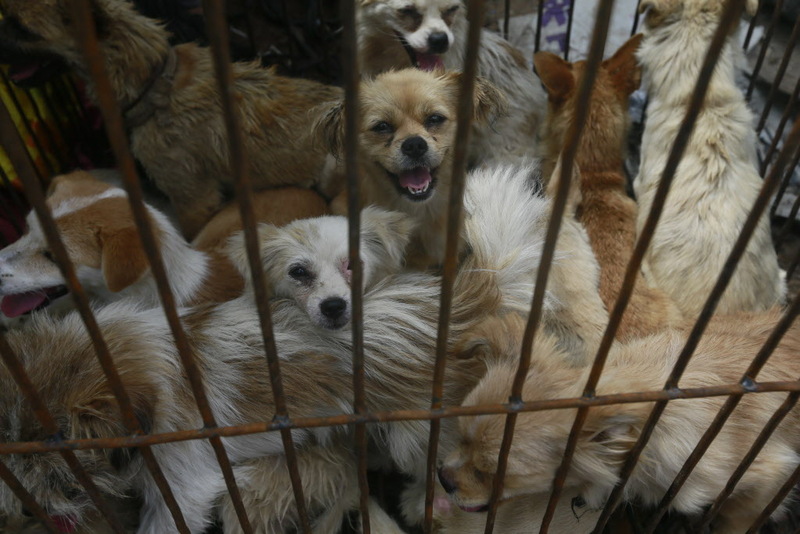 Unlike countries including China, Vietnam, Laos and Indonesia that rely on strays and stolen pets to supply their gruesome pet meat industries, Korea is the only Asian country that commercially farms dogs for consumption. 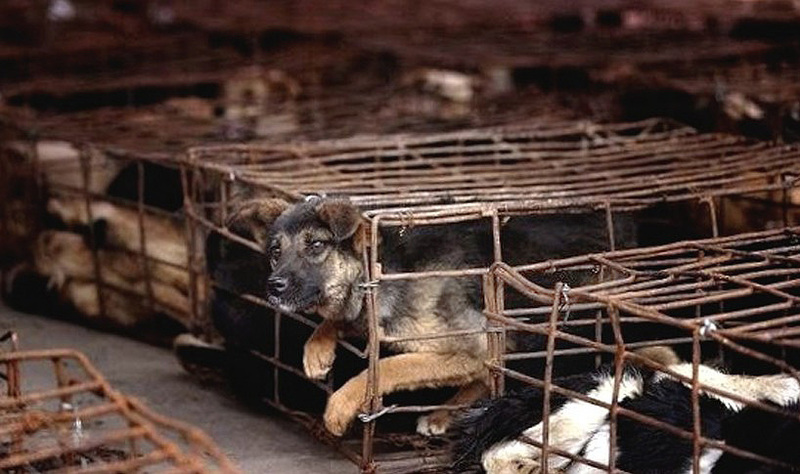 Life for dogs on a dog meat farm is a short, miserable existence characterized by deprivation and abuse. Similar to puppy mill dogs, these animals live in small, filthy cages with little or no protection from extreme weather, are fed poor diets, denied exercise, companionship and veterinary care, and never get the chance to feel the ground beneath their feet. But unlike mill dogs, these animals have no chance of ending up in loving homes, only in live meat markets where they are tortured and brutally slaughtered. 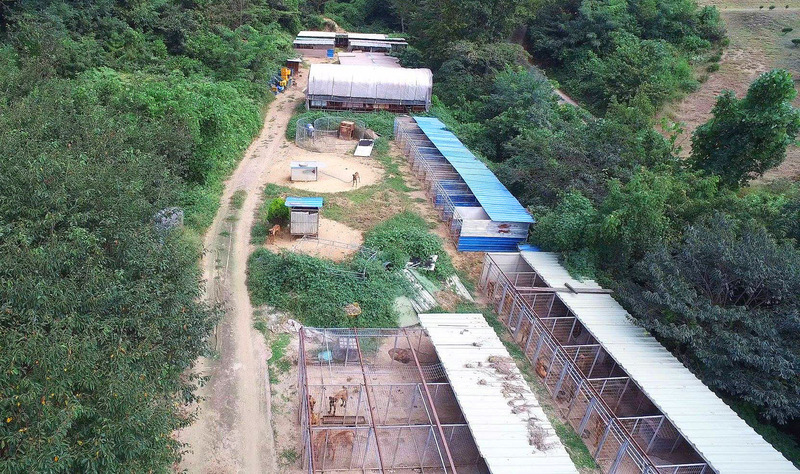 The depressing sight of a typical South Korean dog meat farm, this one in Yongdang-dong, Yangsan. 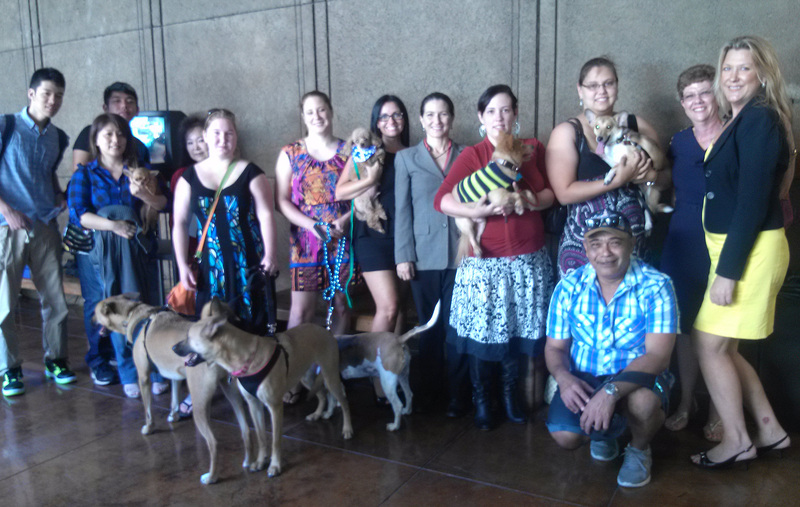 Photo credit: Nami Kim of SaveKoreanDogs. As he followed the team of rescuers through the farm, Martyn was incredibly moved by the conditions of the dogs. 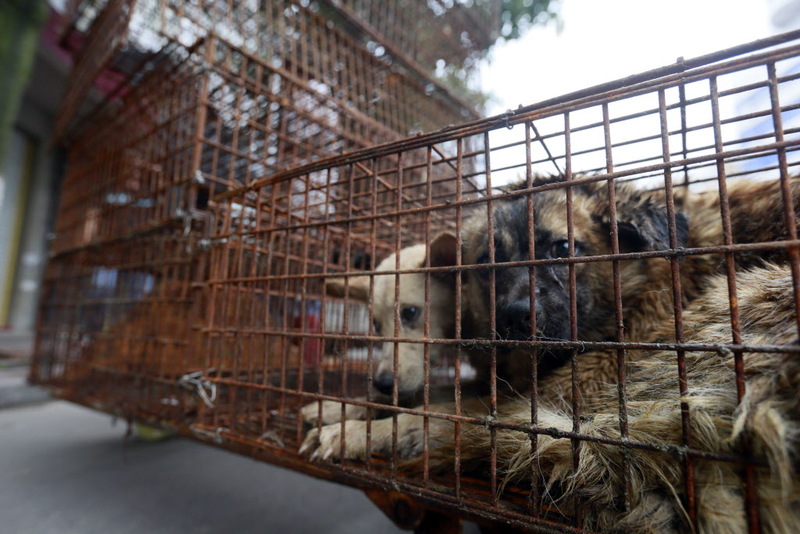 Tears trickled down his face as he filmed the tragic scene before him – cages and cages of dogs and puppies barking, whining, jumping at the bars of their cages, some cowering in fear, a few wagging their tails. The smell of decaying food and excrement was overwhelming. 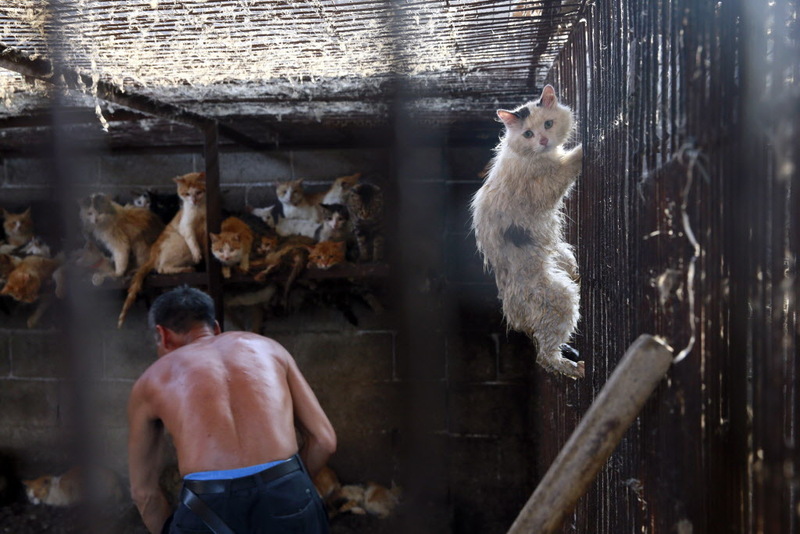 It seemed unimaginable that any “human” could justify keeping animals this way. And then he saw him – the dog who would end up changing his life. I could describe more of Martyn’s heart-wrenching experience at the dog farm in greater detail, but I’d just be repeating everything he’s already illustrated in his very touching, first-person account published last month in The Dodo. Instead, I’d rather focus on the more heartwarming chapter of this inspiring story – Pocket after he was rescued. Fast-forward almost two weeks later to the end of September. 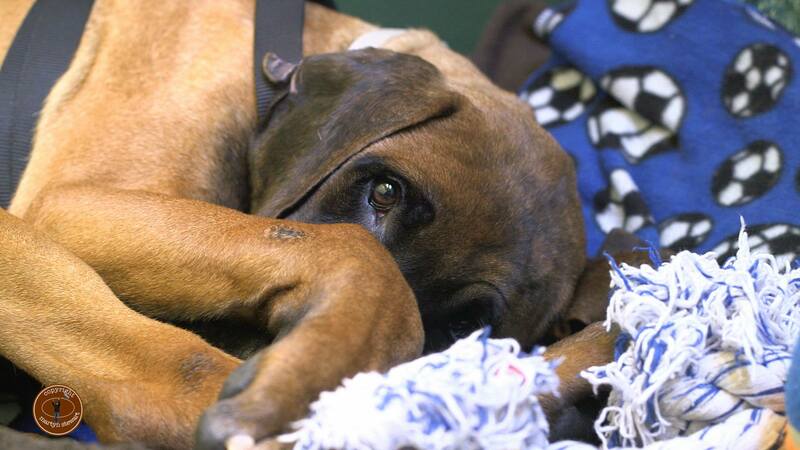 By then, all 103 dogs had been removed from the farm, checked over medically and flown to San Francisco. There they were housed at a temporary shelter and assessed before being distributed among HSI emergency shelter partners throughout California and into Washington state, where they would be rehabilitated and adopted into loving homes. 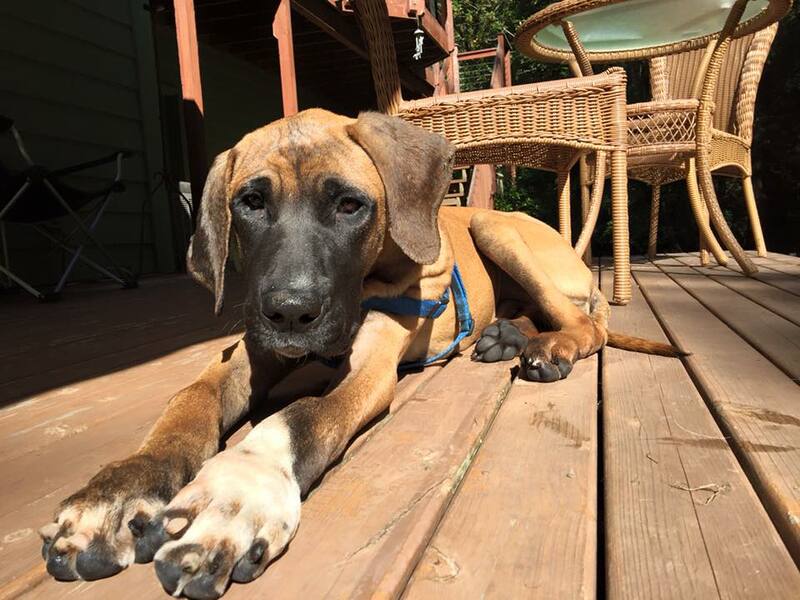 As it turned out, the shelter where Pocket and five other dogs would be sent was PAWS in Lynnwood, WA, not far from Martyn’s home in Greater Seattle. 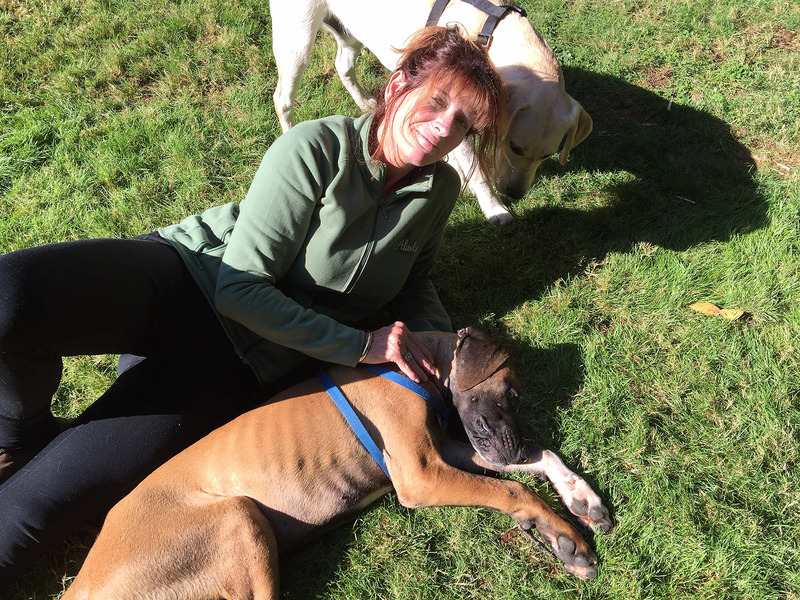 So to help with the transport effort, Martyn and his wife Noeleen drove down to Tacoma, met the HSI team, picked up Pocket and his canine comrades and delivered them to PAWS. 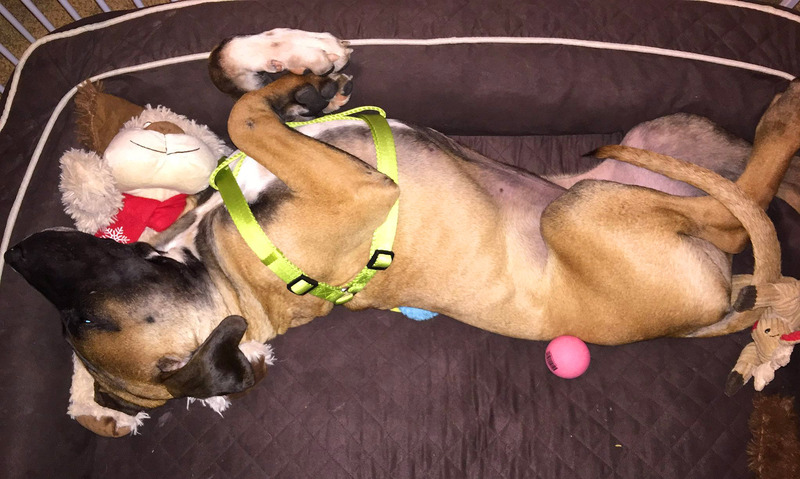 Since dogs raised on dog meat farms are not well cared for and fed extremely low-quality diets typically comprised of swill and offal, it was no surprise that Pocket was infected with parasites, was terribly underweight and developed kennel cough not long after arriving in Washington. But once he was treated, vaccinated and neutered, Pocket was ready to go home with the Stewarts, who were looking forward to nurturing him and getting him acquainted with his new life. As the proud parents of Bucket, a boisterous 8-month-old golden Labrador retriever, the Stewarts were well aware that adding another young dog to the household would be twice the work. But then, Pocket wasn’t any ordinary 7-9-month-old pup – he was a traumatized dog who had known nothing but deprivation and abuse. Helping him heal physically and emotionally was going to take lots of time, love and patience. But Martyn wasn’t daunted; he was prepared to do everything in his power to help Pocket feel safe and loved. And initially, that meant giving up sleep. Besides night terrors, Pocket had other obstacles to overcome. One issue was his deformed feet and weak lower front legs, caused by having to walk and stand on wire flooring for his entire life. Since he’d never received any exercise and his muscles were terribly weak, the dog had adapted by walking on his wrists. As those first days and weeks went by, Pocket’s new world began to slowly unfold before him, with so many new “firsts” to experience. Life is good when you’re a cherished family dog! Here he was, eating yummy, nutritious food, going for walks in the woods, playing with toys, meeting other friendly dogs, riding in the car, sleeping in a warm, comfy bed and best of all, receiving tons of love. Whenever something new, such as strange sounds, became overwhelming or frightening for him, Pocket quickly learned to look to his pack for safety and reassurance. 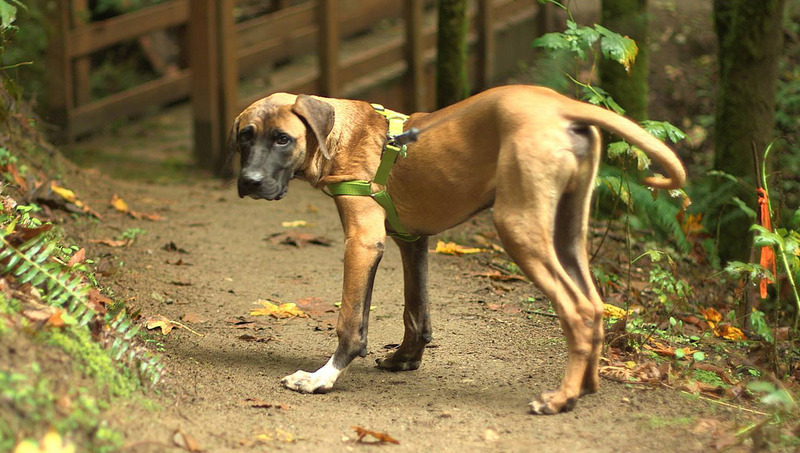 Picturing Pocket loping after Bucket as they bound along a wooded trail, stopping to watch birds, chase squirrels, taking in all the enchanting sights, fascinating sounds and interesting smells, I am incredibly heartened to think of how far this amazingly resilient dog has come. Seven weeks ago Pocket was just another nameless dog on a South Korean dog farm, simply waiting for death. Now he is a pampered pet enjoying a wonderful life with a loving family committed to helping him heal from his traumatic beginnings. 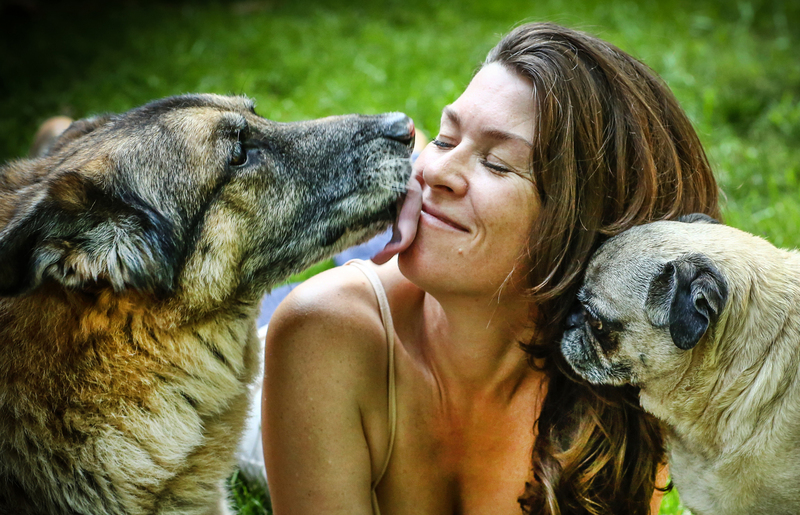 To be safe, loved and valued – that’s what all dogs, including meat dogs, deserve. It takes a very special person to rehabilitate an animal from the meat trade. These creatures have been through a tremendous amount of stress and trauma and have likely never known love or affection. And while the concept of adopting a dog or a cat from these circumstances may appeal to some well-meaning, kindhearted individuals, prospective adopters must be prepared for the kinds of challenges these animals can present, including behavior, training and health care needs that may exceed what most people are willing or able to handle. 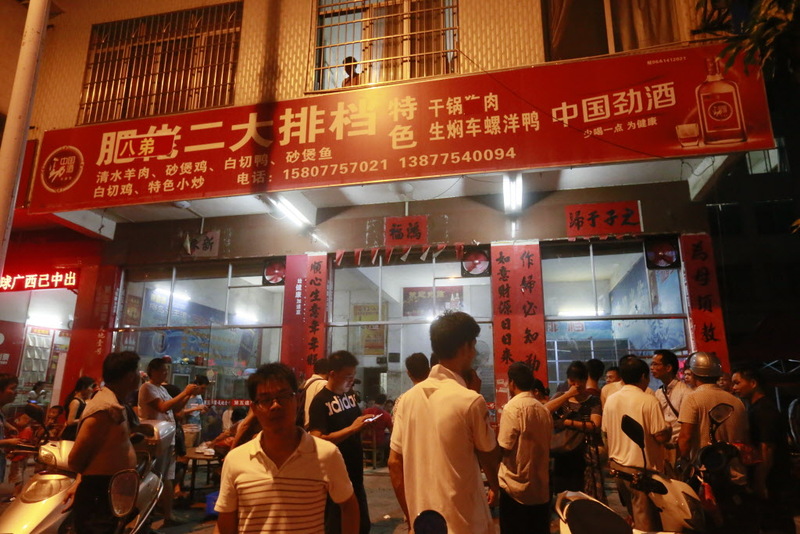 But with a great amount of time, patience and training, dog meat dogs can indeed become wonderful lifetime companions. Meanwhile, Pocket has become a bit of a celebrity. 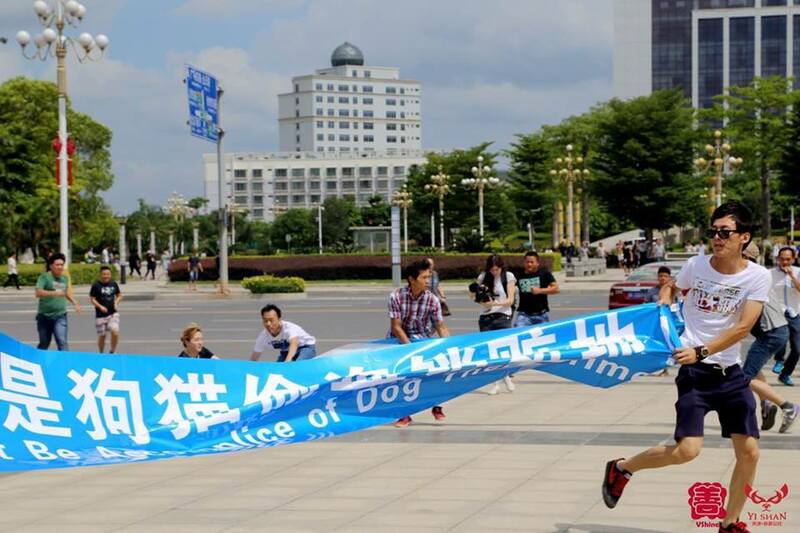 Besides serving as one of the poster dogs for HSI’s anti-dog meat campaign, he has his very own Facebook page, Pocket for Change, in which he “journals” about his new life alongside beautiful photos and heartwarming videos, compliments of his talented dad. You can also check out his growing video library on YouTube. But while most people who learn about Pocket are warmed and inspired by his story, there will always be naysayers, in this case, those who question the validity of rescuing dogs from other parts of the globe. While it’s hard for Westerners to understand why anyone would want to torture, kill and eat a companion animal, in the end, it’s hypocritical for us to condemn other cultures for their dietary choices when we have much to answer for in the way our culture treats animals considered food rather than friends. 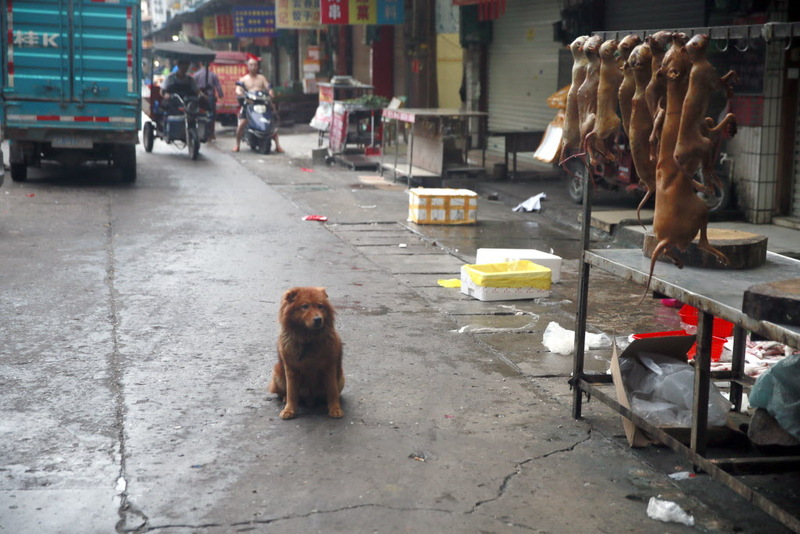 “Throw a stone at Asia for the dog meat trade and you break your own window if you also eat meat – think about it,” Martyn stressed. By sharing his story and demonstrating to the world that meat dogs are just as loving and deserving of compassion as any pet dog, Martyn hopes that Pocket will not only help change the hearts and minds of people within dog-eating nations but also inspire others to join the movement to stop this inhumane trade. 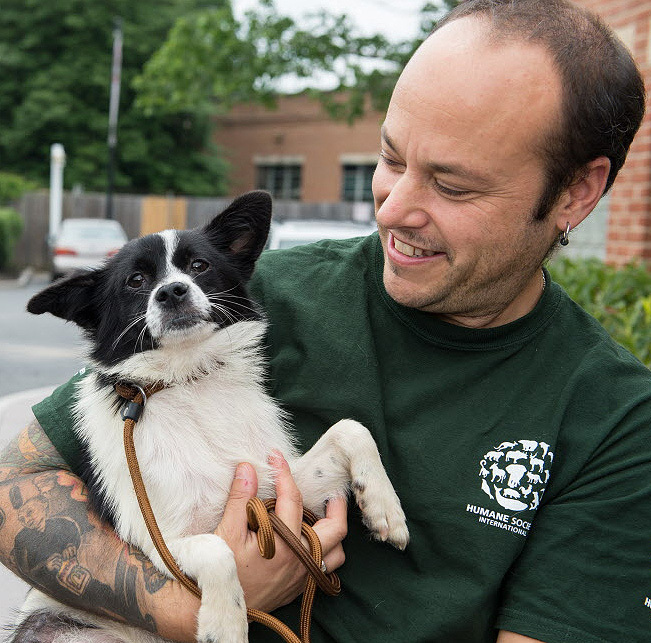 Thanks to their incredible partnership and campaign launched at the beginning of this year, HSI and CFAF have so far shut down three South Korean dog farms, resulting in the rescue and re-homing of 186 dogs in the U.S. If you’d like to support this progressive effort to end South Korea’s dog meat trade and raise awareness among Koreans about the plight of “meat dogs,” please go here. For a glimpse into the Korean dog meat trade as imagined from a dog’s perspective, check out this animated video, Draw My Life. 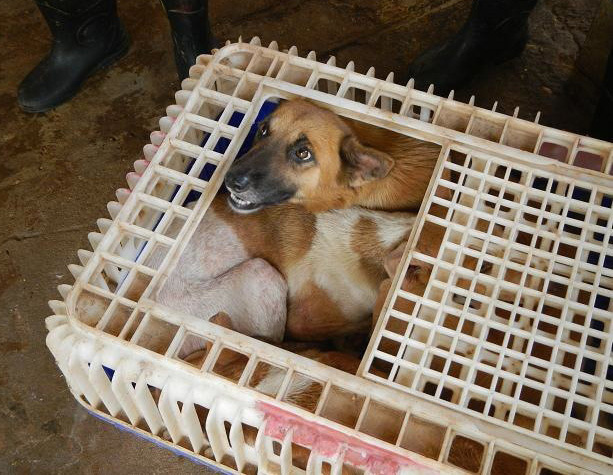 To learn more about the dog meat trade in South Korea and how you can help, please visit koreandogs.org.